Following a torrent of water, flying at full speed, inside the belly of a mountain is a divine feeling of freedom. It's a thrilling way to experience the sheer scale of the terrain on our planet. 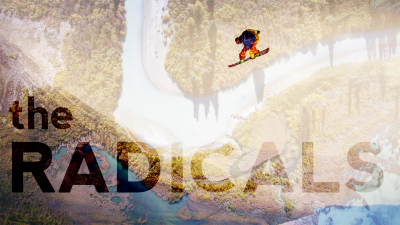 With breathtaking cinematography, The Radicals is a documentary film that follows four snowboarders and surfers driven to become social and environmental stewards through their connection with the environments in which they play. By enjoying and appreciating their natural surroundings, these awakened athletes introduce us to some of the worlds most dedicated activists and game-changing wilderness initiatives that can actually change the world. I'm always looking for a reason to get outside with my camera to capture the mountains, whether it be with photos or video. So when I heard about a film competition in my home town of the Crowsnest Pass, I was really excited to put something together. This is the submission that I created over the course of a few weekends and countless hours of editing (I'm always surprised at how much work goes into these things), and it's something that I'm really proud of. Two of Fernies finest photographers will each present the story behind one of their iconic images to give us an insight into what it can take to capture the essence of our mountain home. Witness the joys and wonders of nature through the eyes of Snowflake, an eccentric Swiss skier with a life philosophy just as beautiful and perfectly unique as his namesake.. The awe that mountainous landscapes evoke is universal. Yet in a place that is 75% mountains, most of us seldom venture into true wilderness. Living amongst us is a special breed of people. They are undefined by age, gender, profession or background, but for them, the draw of the mountains is so strong that their lives must revolve around it. 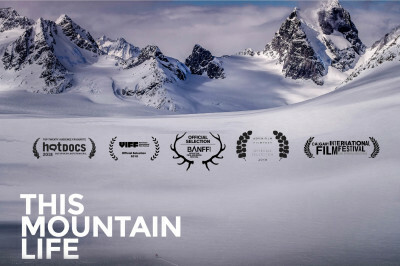 Shot in cinematic detail, This Mountain Life is a riveting examination of human passion set high in the peaks of British Columbia. Two more of Fernies finest photographers will each present the story behind one of their iconic images to give us an insight into what it can take to capture the essence of our mountain home. A parody of 'Free Solo' - When you start pushing the edge, the question becomes, "At what cost?"